General manager Paul Benn said: “As our business continues to grow, this investment ensures we can continue to deliver for our growing customer base. “We’re big believers in UK manufacturing as this investment proves. We have also invested heavily in new automated handling system further increasing our commitment to the UK market. 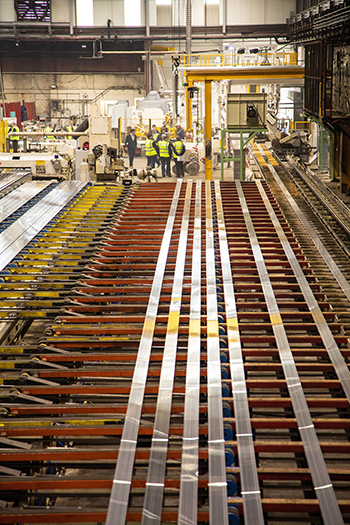 Plus, as a UK aluminium extrusion company selling to UK-based customers, our environmental impact is reduced. Exlabesa Building Systems manufactures a range of aluminium systems including casement windows, bi-folding doors, patio doors, tilt turn windows, curtain walling, rebated thermal doors and thermal and non thermal shop fronts.